What a day Leona Maguire had at Kingsbarns today in the first round of the Ricoh Women’s British Open. Maguire nestles cosily at -3 on page one of the leaderboard after an opening 69 which included a nice birdie on the 18th. Teeing off at 7:25 this morning Maguire had a relatively trouble free round alongside Catriona Matthew and Anna Nordqkvist . She carded 5 birdies to go alongside 2 bogeys in the event which was affected by weather delays. 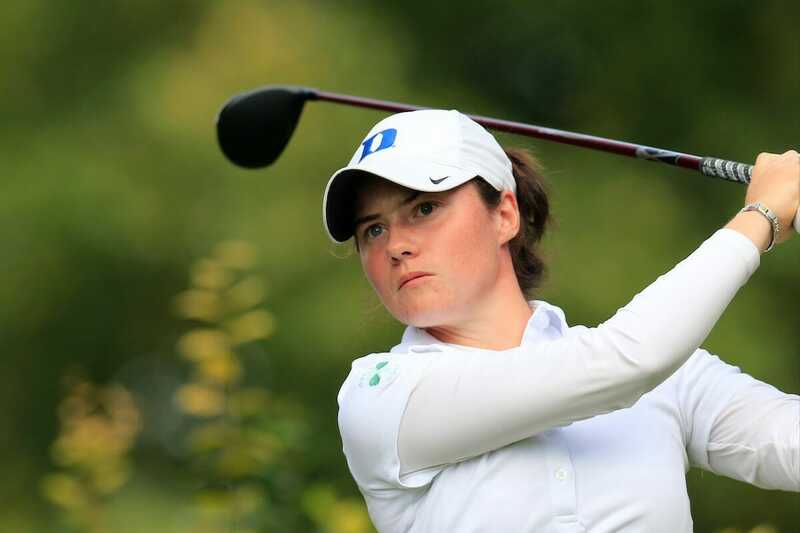 Ireland’s other amateur in the field, Olivia Mehaffey, returned a level par round of 72 which included two birdies and two bogeys. The star of the show on day one was undoubtedly Michelle Wie from the USA who leads the tournament on -8 after a stunning 64 which included a back nine of 30 stroke with a run of birdies on 16, 17 and 18. But the chasing pack includes In Kyung Kim just one shot back and then a group which includes Mel Reid, Morgan Pressel and Lexi Thompson as well as a resurgent Laura Davies who rolled back the years with an opening 68 to sit just four shots off the pace. For a number of players in the field this is the last chance for them to impress the Solheim Cup Captains who announce their final selections on Sunday evening at 8pm for the event which takes place at Des Moines Golf & Country Club in Iowa from the 14th – 20th of August.